Figure 1: Method menu interface. Figure 2: Create a new Method. 1. 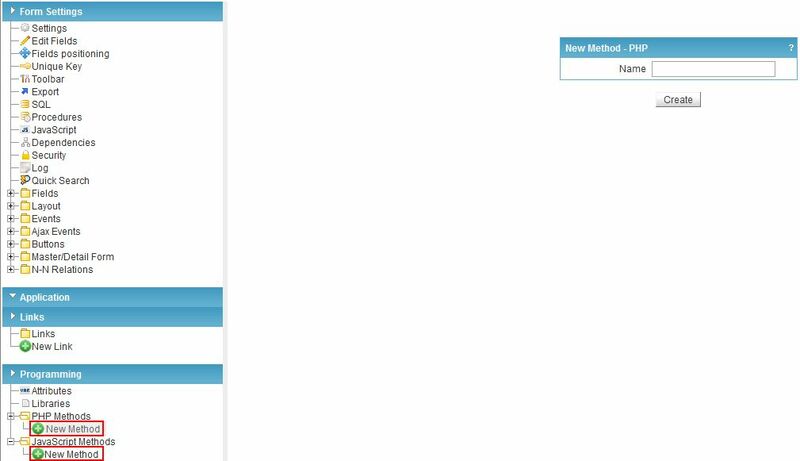 Define the name for the new method then click the Create button. See the Figure below. Figure 3: Adding a Method. 2 Methods may involve parameters being passed. Figure 6: Add Parameters interface. Name: Input a variable name. Value Default: The default value used to initialize the parameter variable when called. 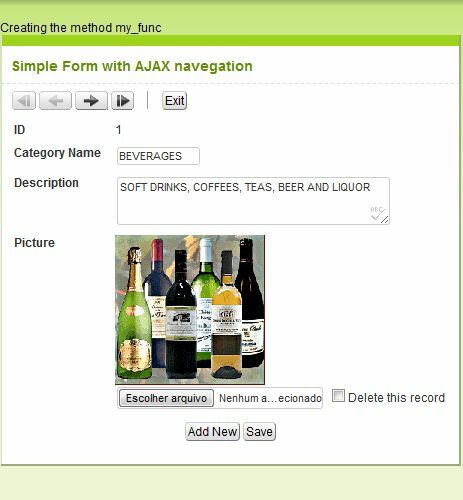 * References allow you to create a second name for a variable so you can use it to read or modify the original data stored in that variable. Figure 7: Define Method Parameters interface. 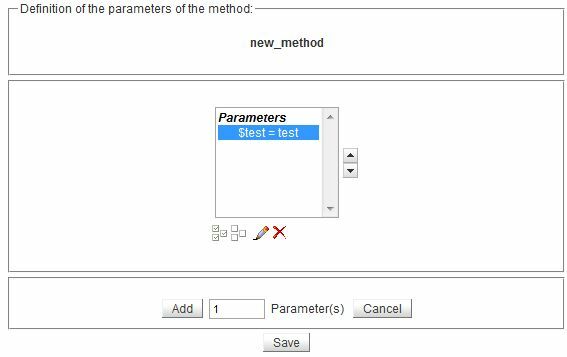 Select all parameter variables in the Parameters field. Unmark all parameter variables selected in the Parameters field. Edit the variable selected in the Parameters field. Delete the variable selected in the Parameters field. Thus we get the following result when running the application.